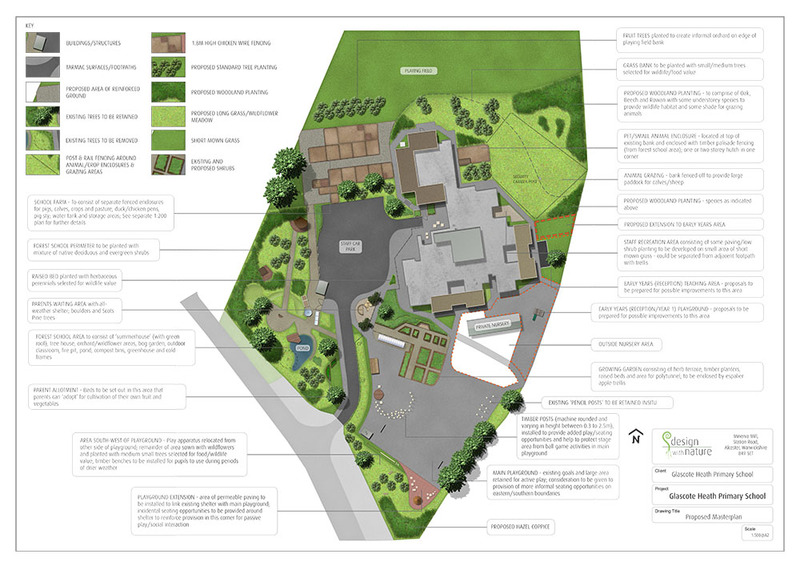 Masterplan produced for Glascote Heath Primary School in Tamworth. 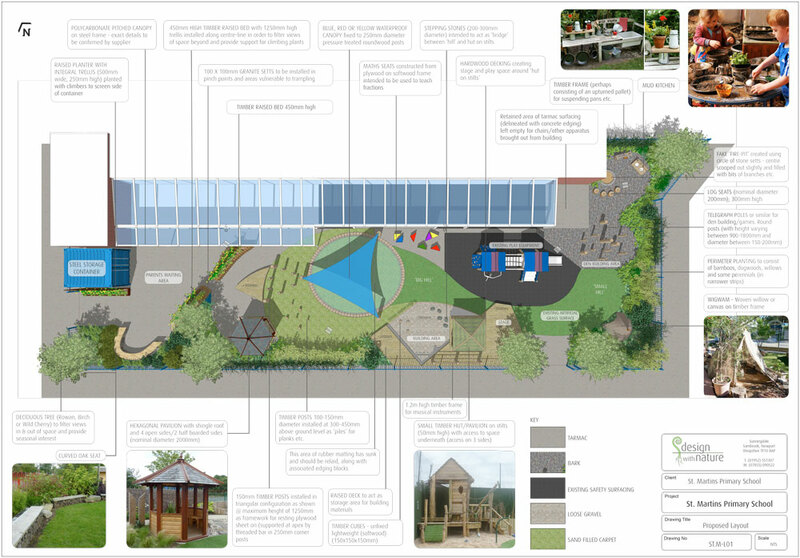 Includes remodelled and enlarged forest school area, pig sty, enclosures / grazing provision for farm animals (being loaned by a nearby agricultural college), new pond / wetland, polytunnel /cold frames / greenhouse, raised and ground level beds for growing fruit and vegetables, a proposed extension to the early years area, an orchard and new woodland planting. 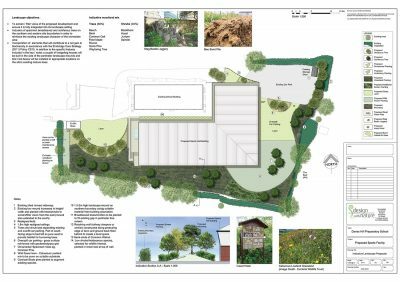 Particular care was taken to retain all significant vegetation and to work with the exisitng site topography in order to minimise the amount of cut and fill that will be required. 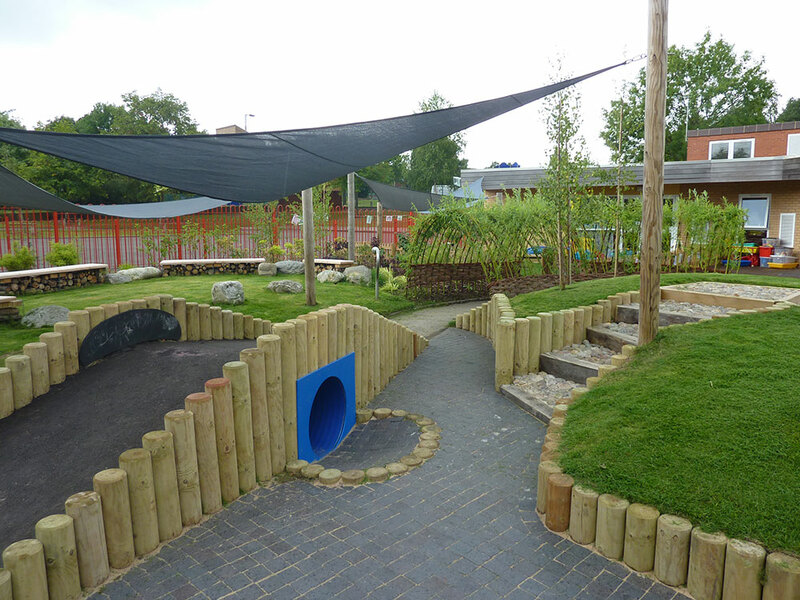 The scheme also involves diverting some of the roof runoff to provide water for the animals.